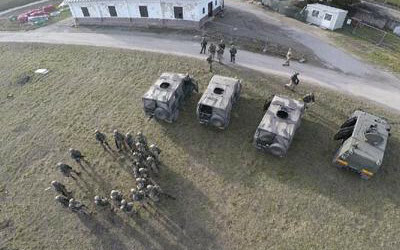 A new anti-terrorism simulation center in Brunico: Realized by the Italian STE for C-IED military training. Evento sulle Tecnologie immersive basate su VBS3 (Vitual BattleSpace 3), a supporto dell’addestramento in settori: DIFESA e HOMELAND SECURITY. The PTE trade fair offers visitors the unique opportunity to view and experience new products and the most recent technologies for Passenger Terminals. S.T.E. will be attending the IAE (Italy Airspace Expo) Event at the New Rome Fairgrounds, organized under the patronage of various prestigious institutions. Together with its Partner MRV, S.T.E. would like to invite all its customers to attend the innovative Event "TECHNOLOGY BITZ" in October. The new marketing campaign by S.T.E. and Fortify. Together with its partner company Fortify, S.T.E. is launching a new marketing campaign for the periods from 28 September to 1 September 2009 and from 6 October to 9 October 2009. S.T.E. is also present on the Virgilio web portal, along with its partner MRV. 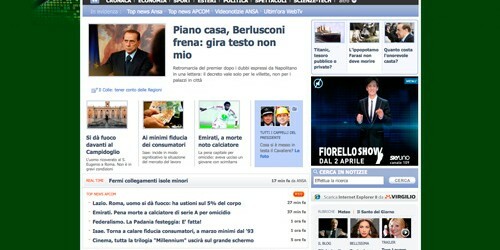 Established in 1996 as a search engine and web directory, Virgilio is Italy's first web portal. 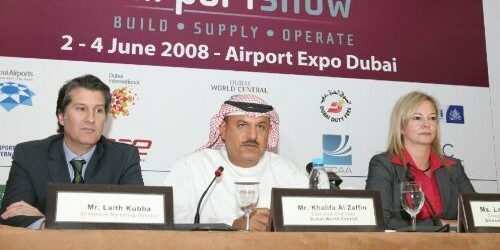 The Passenger Terminal Expo is a unique international event that offers exhibitors and guests the opportunity to familiarize themselves with the latest technologies in the airport industry. Start from the pole position by participating in this seminar organized by Software AG in collaboration with S.T.E., and discover the advantages of adopting an easy and intuitive BPM system. The S.T.E. has chosen the Virgilio web portal as the best communication channel for promoting the technologies offered by Fortify. The response to the challenge of Application Security. La risposta alla sfida della Sicurezza Applicativa. At the Airport Show Event in Dubai, which concluded on June 4, S.T.E.’s stand was extremely popular, with much interest being shown in the company’s “DATAPAX” and “Weight & Balance” solutions. Some photographs of the stand are provided below. The S.T.E. will be present in Amsterdam on 15th and 16th April 17, 2008 at the SITA's n . 800 stand at the PASSENGER TERMINAL EXPO 2008: the largest exhibition and conference regarding the International Airports.